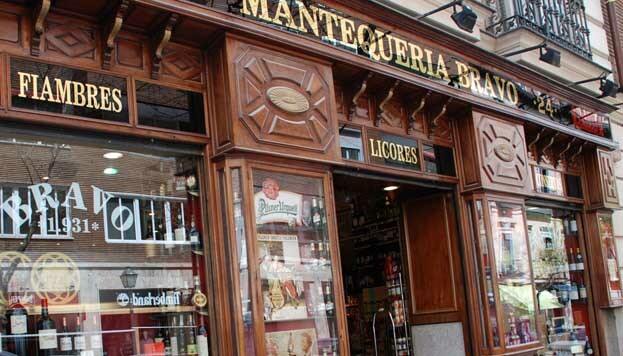 stumbled on a Madrid classic that I can heartily recommend: Mantequería Bravo. It’s one of those traditional shops with that special something that makes them unique. In this case, the clue that you’ve discovered a treasure is the wonderful wood and glass facade reminiscent of bygone times. The shop’s origins date back to 1931 when Cruz Bravo rented the premises that it still occupies today, at number 24 Calle Ayala. 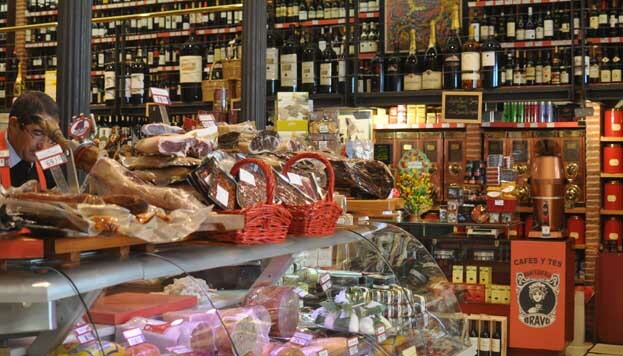 In those days it was more like a little bodega, but all that remains of that now is the aroma of wine because it subsequently evolved into a grocer’s shop, and today, once you’re inside, you can almost feel that history in its walls. Whenever I go into one of these places I always try to imagine its past life, what the owner was like, what the customers and the atmosphere on the street were like. Well here, at Mantequería Bravo, it’s easy to visualise the past. Elena, the person who runs the shop today, belongs to the third generation of the family who founded it, and she knows perfectly well what it was like in those days. But she also knows how to adapt to new times, which is why they offer customers those special products, true delicatessen delights, that they have delivered every day: ham and other cold meats of the finest quality, caviar, different varieties of olive oil, foie gras, a varied range of delicious teas… and even some of the latest fashionable gins. But if Mantequerías Bravo has become a paradigm in our country, it is because its shelves hold the finest wines from Spain and the rest of the world. Pingus, Vega Sicilia, L’Ermita, Petrus, Chateau Mounton Rothschild, Chateau D’Yquem are all there. 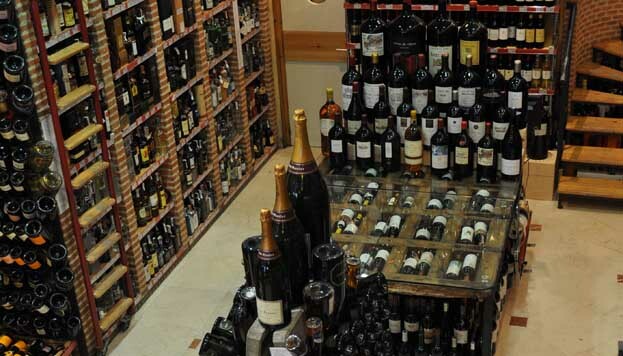 And the best thing of all is that they’re sold in unique formats, from the typical miniatures to the 27-litre bottles produced by certain well-known brands. It’s a veritable museum! Daniel the manager, and, in fact, the entire team advise customers on their purchases and help them to choose gifts or products, which can also be vacuum packed and shipped anywhere in the world. 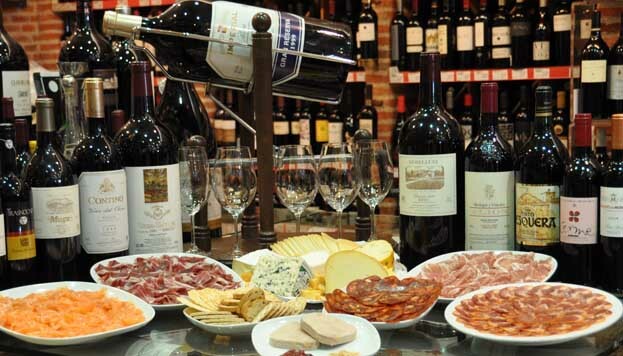 You might even find a pleasant surprise when you cross the threshold of this shop: a wine tasting or the invitation to sample some cheese or ham. 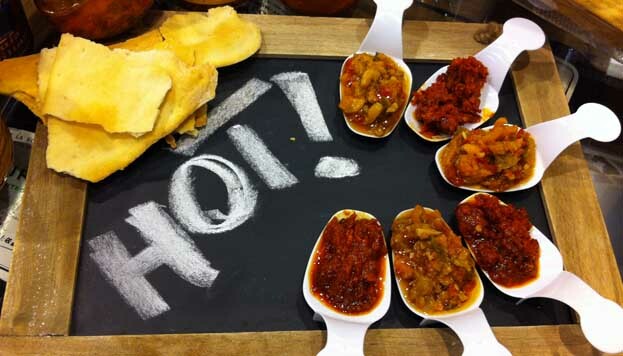 Savour it! That’s exactly what the staff at Mantequerías Bravo wants: for everyone to feel at home. This classic shop at the heart of the Salamanca District reinvents itself every day, but its aroma, friendly atmosphere and infinite flavours remain a constant temptation.